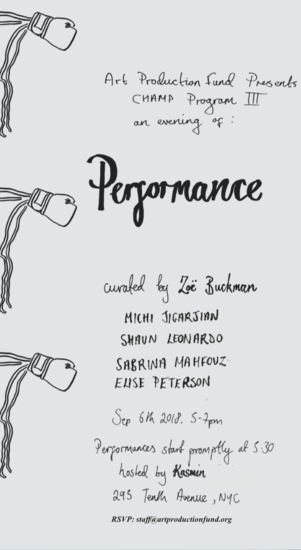 Art Production Fund is pleased to announce CHAMP Program III: An Evening of Performance Curated by Zoe Buckman. This is the third iteration of our CHAMP Program series and will take place at Kasmin, 293 Tenth Avenue, New York City on September 6. 2018. 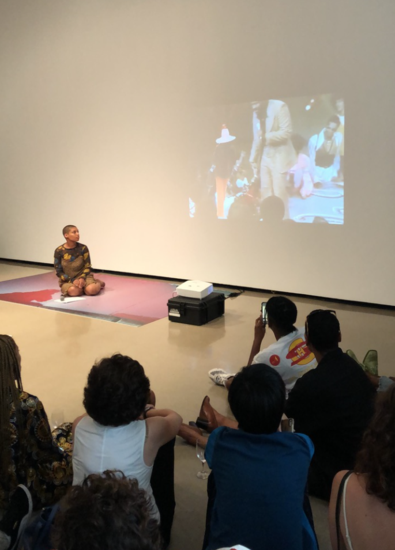 The evening features four performances is inspired by topics surrounding Buckman’s first major public art installation, CHAMP, presented by Art Production Fund and on view at the Standard Hollywood through Febrauray 27, 2019. CHAMP Program III will include performances by Michi Jigarjian, Shaun Leonardo, Sabrina Mahfouz, and Elise Peterson. 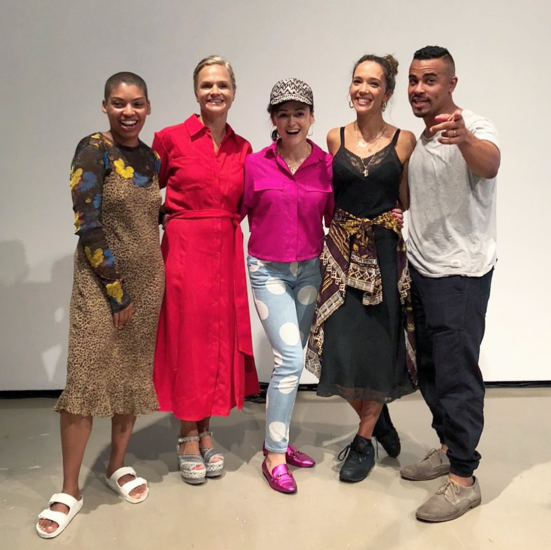 “I wanted to use the visibility of CHAMP and the themes it stands for to bring together artists I admire who make work speaking to the body, the female experience, and to ideas of self, identity, and memory,” says Buckman. 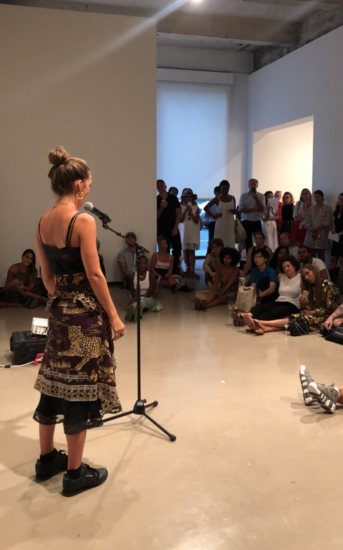 The inaugural performance of To Start Again, a collaborative spoken word engagement organized by Michi Jigarjian, confronts white silence within feminine and racial constructs. Shaun Leonardo presents new work, Testimony #4 where participants of the performance will locate memories inside their bodies and will be asked to recite these or translate them using performative gestures. Spoken word artist Sabrina Mahfouz weaves a poetic and surreal story with I Am An Amnesiac Muslim Mermaid. The piece brings together voices of women of Muslim heritage in Europe and the USA in response to the travel ban. Lac Rose by Elise Peterson is a spoken word piece with accompanying video, examining iterations of self. CHAMP Programs are made possible with generous support from the 7G Foundation.